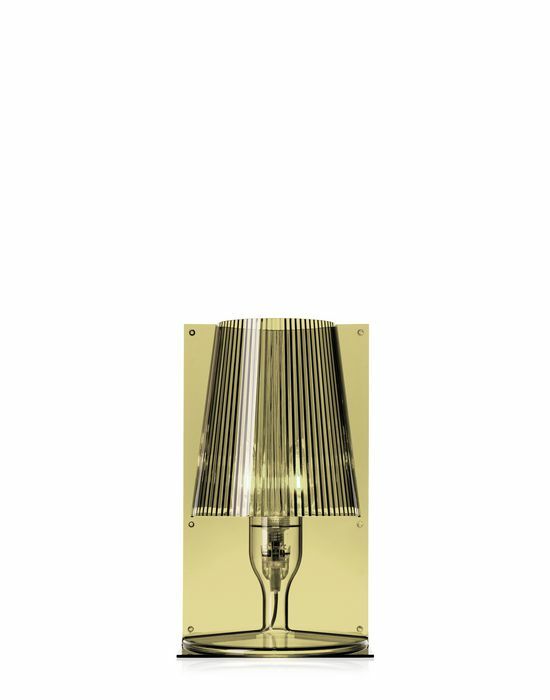 The classic image of the bedside lamp has been revisited by Kartell technology and transformed into an industrial product. Made of transparent or coloured injected polycarbonate, Take is available in various chromatic tones. The shape comes from the joining of two joined symmetrical parts: two flat, rectangular and two-dimensional plates which each assume the shape and volume of a half-lamp. The internal pleating of the lampshade embellishes the item, creating a play of light when turned on. The optimum value for money and perfect packaging for a cash-and-carry product make it an excellent gift idea.